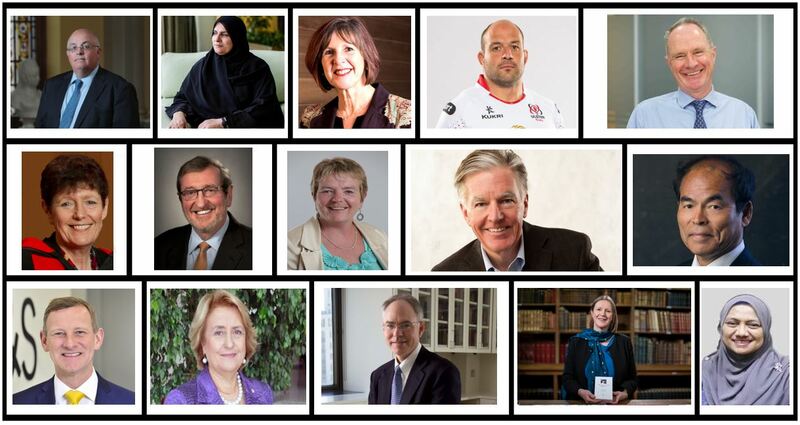 Queen’s University has today (22 February) published details of 15 local, national and international individuals who are to be formally acknowledged during 2018 with the award of an honorary degree. Professor Catriona Seth, who holds the Marshal Foch Chair of French Literature at Oxford University and is a Fellow at All Souls College. The list includes world-renowned cancer researcher, Professor Charles Sawyers, a Howard Hughes Medical Institute investigator who holds the Marie-Josée and Henry R. Kravis Chair of the Human Oncology and Pathogenesis Program at Memorial Sloan Kettering Cancer Center in New York. Professor Martin Meehan, President of the University of Massachusetts and a former congressman who represented the 5th Congressional District of Massachusetts in the U.S. House of Representatives and Michael J. Dowling, President and Chief Executive of Northwell Health New York are also among the recipients. The Chief Executive of Marks & Spencer, Steve Rowe and Rory Best OBE, Irish Rugby Union player and Captain of Ireland’s international rugby team also feature in the 15 people from the world of business, science, sport, academia and the arts being honoured by Queen’s in 2018. Siobhan Fitzpatrick OBE, Chief Executive of Early Years, will also be honoured for distinction in public service. Other leading figures from the world of business and commerce, including Roy Adair CBE, Chief Executive of Belfast Harbour Commissioners; Dr Raja Easa Saleh Al Gurg, Managing Director of the Easa Saleh Al Gurg Group; Dr Shahidah Bt M Shariff, Chief Executive of Petronas Research Group in Malaysia and Owen Brennan, Executive Chairman of Devenish Nutrition will each receive an honorary doctorate for their services to business and commerce. Honorary degrees are presented during Summer and Winter Graduation Weeks in July and December. Media inquiries to Communications Office, tel: +44 (0)28 9097 3091.